It’s time to break out the flip flops, squeeze into that bathing suit and get ready for some sun. 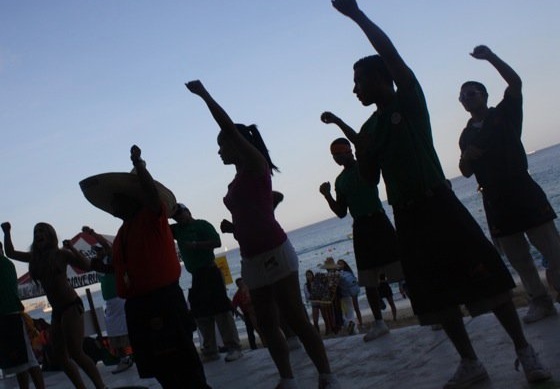 Spring Break in Cabo is a lot of fun – there’s tons of places to party, lots things to do and tons of new people to meet. 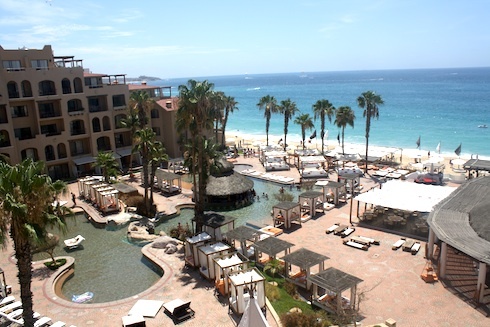 Here’s a guide to navigating Spring Break in Cabo! Spring Break as a college student is a once is a lifetime experience. It’s all about meeting new people and having a great time. Staying at an all inclusive resort like the RIU is the way to go. Having all of your food and drinks included means that you don’t have to worry about what to eat (and all you can drink doesn’t hurt either). If you don’t go the All Inclusive route, the Tesoro Los Cabos is where most of the Cabo Spring Break Companies will be setting up headquarters. This is the day time version of the infamous Jungle Booze cruise. Not only will you get to see the famous El Arco, you will get to see why Jaques Cousteau called the Sea of Cortez the “Aquarium of the World.” An open bar sweetens the deal. So does the $35 price. Ok so it’s not super cheap, but the Mango Deck is where you want to spend the day if you are a college student. They have crazy contests and it’s right in the heart of Medano Beach. The place is packed. They have beer pong tables. What else could you want? Cabo is the play ground for the rich and the famous. Why shouldn’t you be treated the same way on your Spring Break in Cabo? ME Cabo has thought of everything when it comes to the perfect party atmosphere in a hotel. You’ll find Nikki Beach and the Passion Club on the premises. They also have ground level suites called the “Energy Suites” with hot tubs right outside the doors. There’s nothing like chartering your own yacht for the day. You can everything from meals and drinks on board to jet skis and snorkeling gear. You can even fish from your yacht. Located on Medano Beach, you and your friends can rent one of Nikki Beach’s famous Bali beds. Or you can just rock out to some of the best DJs around. Celebs like the Kardashians and Adam Sandler have partied here. Everyone from Paris Hilton to LeeAnn Rimes have been spotted at this Cabo nightlfe spot. With glamourous chandeliers and VIP and bottle service, Pink Kitty is one of Cabo’s premiere nightclubs. Coming to Cabo for Spring Break with mom, dad and the kids? Don’t worry you can still have tons of fun. At Dreams, all of your drinks and meals are included, giving teenagers the ability to have fun on their own. 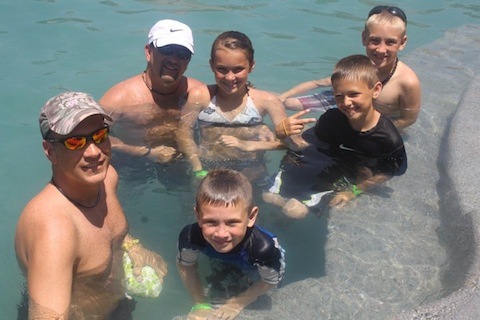 Dreams is usually full, meaning there are tons of people for your kids to meet during Spring Break. Dreams also has a kids club and baby sitting if you have younger kids with you as well. It’s a high end all inclusive resorts but still friendly to your wallet. Dreams is located in the Corridor – about a 20 minutes Cabo ride from downtown Cabo San Lucas. Whale Watching Cruises are a fantastic way to see all that Cabo has to offer during Spring Break. Not only will you get to see the famous El Arco, might even get to see a beautiful gray whale – an experience your whole family won’t forget. There’s nothing like snatching up a beach chair on Medano Beach. Here it’s not as crazy as the Mango Deck, but you still get to enjoy your drinks and lunch in a party atmosphere. Founded by Sammy Hagar of Van Halen, Cabo Wabo is a Cabo icon/ Cabo Wabo’s main draw is its live music. Expect 80s music and lots of it! Where is your favorite Cabo Spring Break Spot?